Fishtown FestivAle has expanded to five blocks. The 2018 Fishtown FestivAle – part of Philly Beer Week – will take place Saturday, June 9, on Frankford Avenue. Five blocks will be filled with food, drink, shopping and entertainment, from noon to 8 p.m. There will also be fireworks this year from SugarHouse Casino at dusk. 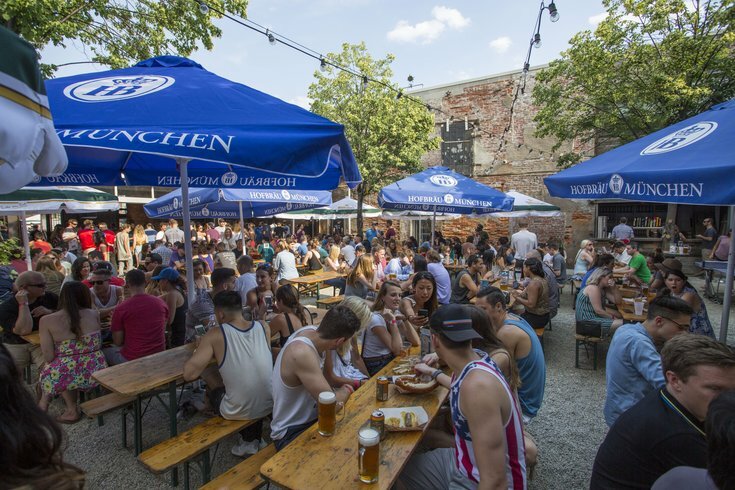 Street food, cocktails and lots of beer will be available from neighborhood restaurants, breweries, bakeries and food trucks. Participants include Fette Sau, Weckerly's Ice Cream, Evil Genius, La Colombe, Frankford Hall, Root and many more. While eating and drinking, enjoy tunes from seven DJs on three stages. Find the music at Girard Avenue, Master Street and Oxford Street. There will also be a Fishtown Flea, where 70-plus vendors will be selling various kickknacks, plus carnival games and a family area. The Fishtown FestivAle is free to attend. It will take place rain or shine.